An application is available on both Android and iOS that can serve as a guide for naviagating the sometimes confusing world of grain quality. 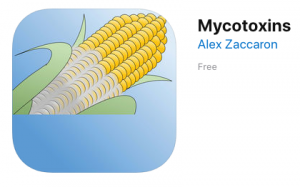 Mycotoxins is available for free on app stores, and presents important information about different corn ear rot pathogens that cause significant yield losses. In addition, the app provides instructions and tips that can prove valuable knowledge for farmers and corn growers, for a proper management of corn infected with mycotoxins.